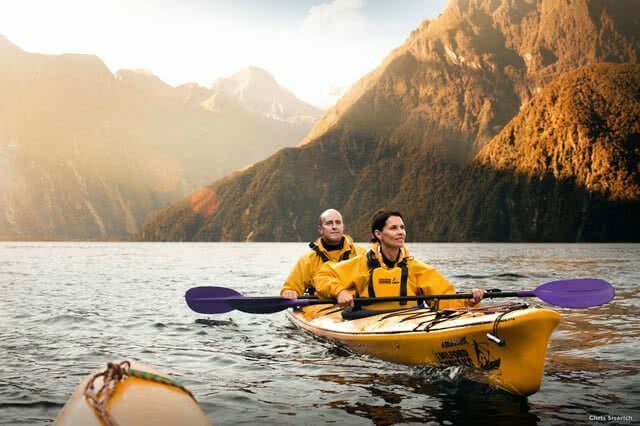 With summer officially over, we start to look beyond the beaches and BBQs for things to do in New Zealand. Luckily, there’s a wide variety of events and activities going on and below are 6 of the best to go to in April. For all the foodies out there you’ll want to get yourself to Horncastle Arena in April for the Christchurch Food Show! There’s so much going on with this event you almost don’t know where to start. First of all, the food is great, with street food, healthy hubs, fresh markets, cheese alleys and artisan delights to sink your teeth into. There is also a beer lane to quench the thirst too. As well as this, there are events like masterclasses and a cooking theatre where you’ll be able to gain some great tips and insights! One of many great food festivals in New Zealand. It’s maybe not everyone’s cup of tea, but the NZ Tattoo & Art Extravaganza is a big event in Tauranga that attracts some of the best tattooists and artists from New Zealand and around the world. It’s not just about the tattoos however with entertainment that includes dance performances, a fire show, a magician, musical performances and a wearable art contest. Held over the weekend, each day also has a ‘Best Tattoo’ award and considering the amazing artistry of the tattoos involved, it’s a competitive award indeed! Fans of popular culture will unite, as they do every year for the epic gathering that is the Armageddon Expo. The event is very well organised and attracts some of the biggest and best stars in the business. This year is no different with the likes of Nicholas Hoult (X-Men, Mad Max), Tom Welling (Smallville, Lucifer), Amy Acker (Angel, Dollhouse) and more making the trip to the capital. In addition to this, there’ll be special events like cosplay contests, hot dog eating contests, chilli eating challenges and plenty of others to keep you entertained! While it’s technically the end of summer, there are still some that are basking in the warm weather and if you’re one of those you’ll want to get tickets for the Huawei Summer Jam! Organised by the Auckland City Council as part of their awesome Music in the Parks events, the Summer Jam this year has an incredible lineup of musicians and bands. These include the Sons of Zion, Savage, Exodus, Raze and more. Hosted in the Manukau Sports Bowl there are plenty of spots to place a picnic and enjoy a great afternoon of music and beats. Did we also mention it’s free to attend? Grammy Award-winning singer/songwriter Norah Jones does her tour of New Zealand in April playing all across the country to the glee of all her fans. Norah Jones took the world by storm in 2002 with her album ‘Come Away With Me’ and has never looked back selling over 50 million albums worldwide. Her concerts here will include all her best hits along with more recent and new songs that are sure to please. A tremendous talent and one that you won’t want to miss! Anzac Day has always been a special day for New Zealanders as people all over the country gather in tribute to all our soldiers who’ve fought in armed conflicts abroad. One of the largest dawn services is held every year outside the Auckland War Memorial Museum is a moving experience attended by thousands of Aucklanders every year in a show of remembrance and reflection. The commemoration includes uplifting poetry, music and spoken word with the Museum opening afterwards for visitors. Where: The Auckland War Memorial Museum. SOME AWESOME EVENTS IN NEW ZEALAND THIS APRIL! So there you have it! The list of the 6 best events in New Zealand in April to add to your diaries! We’ve also got some great city guides featuring all the main attractions with a few additional tips about accommodation, eating and more to complement these fantastic events! "Introducing Te Papa tour is the perfect way to get an overview of Te Papa’s highlights, Māori treasures, and New Zealand history. Ideal for visitors with limited time or wanting an introduction for an extended visit. Only on this tour. Introducing Te Papa tour is the perfect way to get an overview of Te Papa’s highlights, Māori treasures, and New Zealand history. Ideal for visitors with limited time or wanting an introduction for an extended visit. Only on this tour."